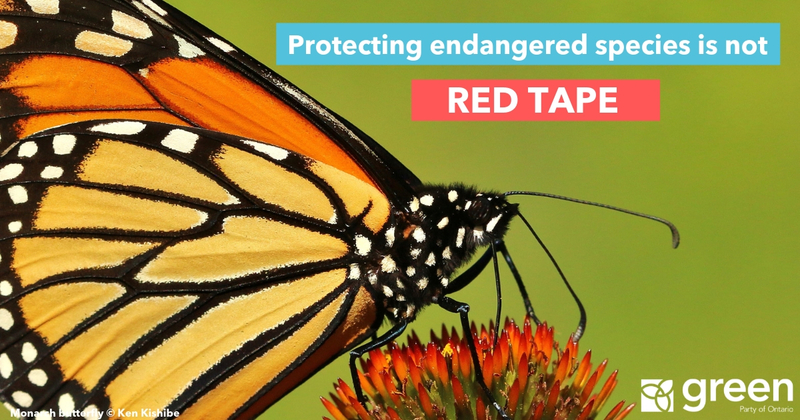 The Green Party of Ontario is sounding the alarm on the Ford government’s plans to cripple the Endangered Species Act under the guise of cutting red tape. Mike Schreiner joined in the public consultation, asking Minister Phillips to put the brakes on drastic changes that would deregulate the Endangered Species Act into oblivion. “First they unravelled climate action and now they are coming after species at risk. We are in a global biodiversity crisis, and yet the Ford government is declaring war on wildlife,” said Schreiner. 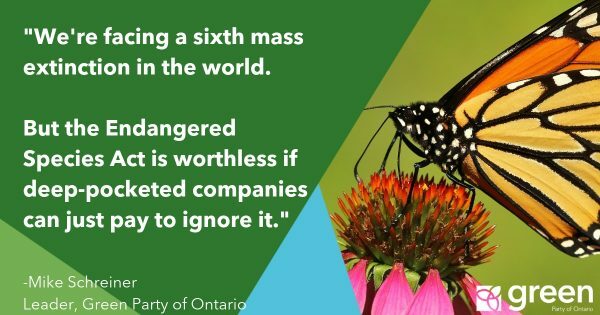 Wildlife populations around the world have declined by 60% in just the last 40 years, yet the PC government is floating an overhaul of the 2007 legislation that would give industry even more flexibility to destroy the critical habitat of Ontario’s 237 species at risk. The changes would further erode legislation that was already gutted in 2013 when the Liberals granted exemptions to the forestry, mining, aggregates and hydro industries, essentially allowing them to violate the ESA. 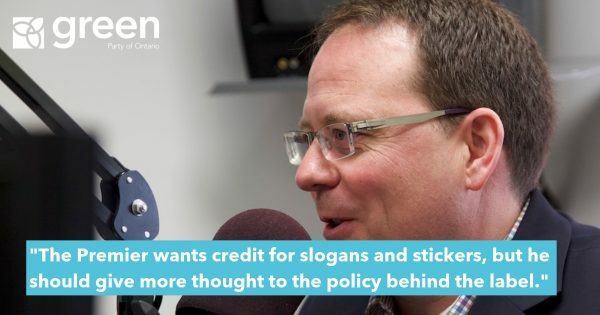 “The Liberal government dealt a huge blow to the ESA in 2013 but rather than restore its integrity, the Premier wants to put the ESA out of its misery,” said Schreiner. Many of the changes would replace evidence-based decision-making for protecting species at risk with discretionary powers by the Minister. What was once a science-based program could become rife with political interference to appease big corporate interests. “Businesses investment is increasingly flowing to places with a high quality of life, places where people can enjoy nature. 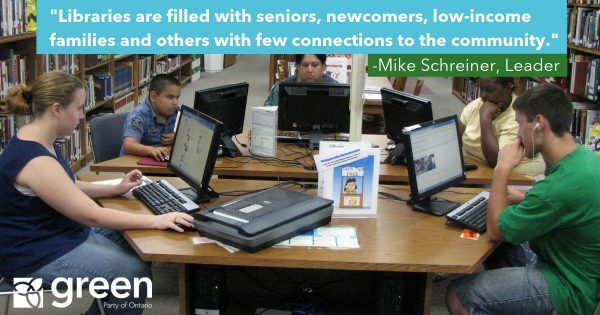 Competing in a race to the bottom is not good for business or our quality of life,” said Schreiner. TAKE ACTION: Send a letter to the Minister of Environment here. See the Green Party of Ontario’s submission here.